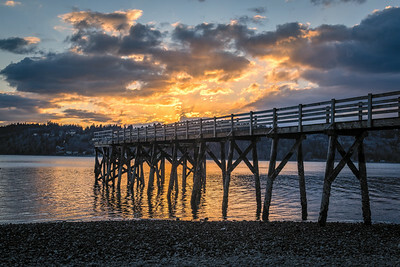 A tighter shot of the Point White dock at sunset from a couple nights ago. 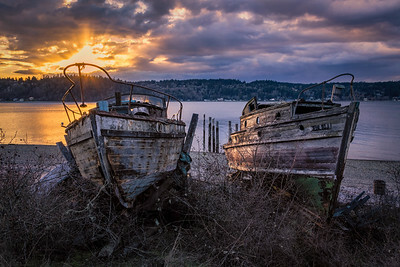 Weathered old boats on Bainbridge Island, as the sunset breaks thru the clouds. 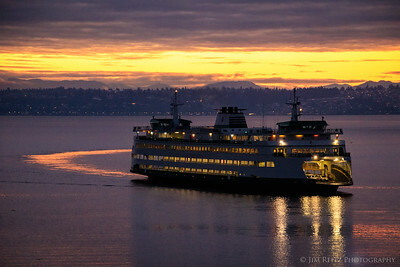 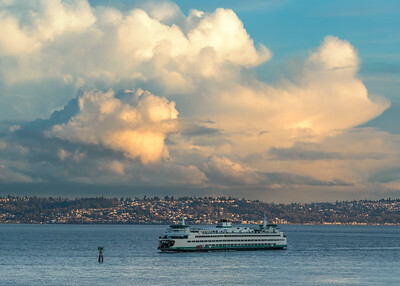 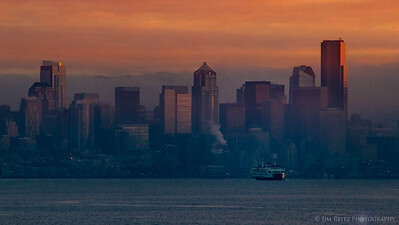 Dramatic clouds at sunset this evening, as the ferry enters the harbor. 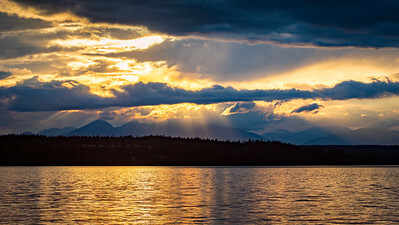 Rowing team at sunset in Eagle Harbor. 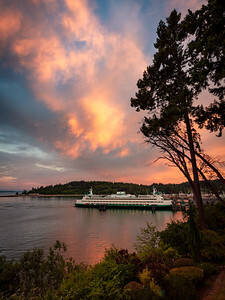 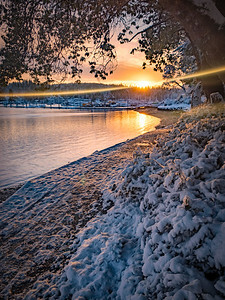 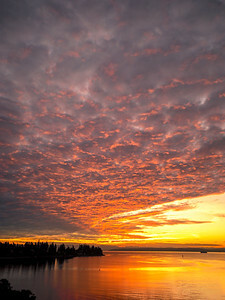 Sunset over Eagle Harbor on Bainbridge Island, WA. 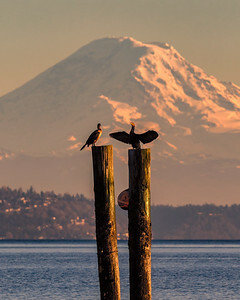 Cormorants at sunset this evening. 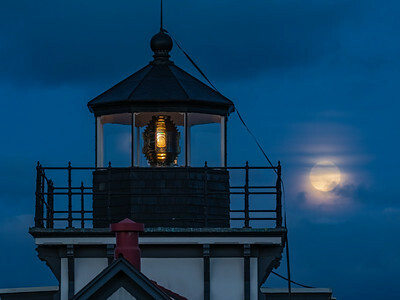 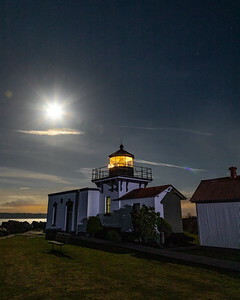 Moonrise at Point No Point lighthouse, while waiting for lunar eclipse to begin. 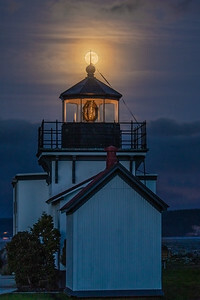 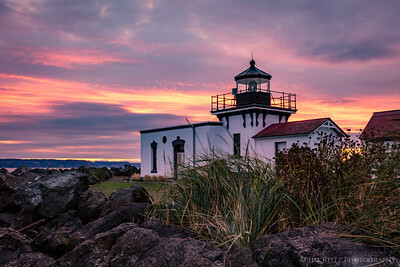 Super Moon rising behind the Point No Point lighthouse near Hansville, Washington - before the lunar eclipse started. 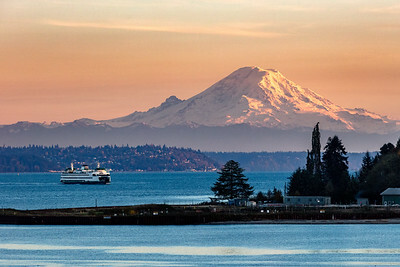 Amazingly nice day for November, here in the Pacific NW. 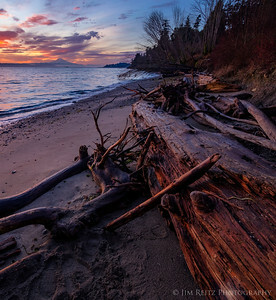 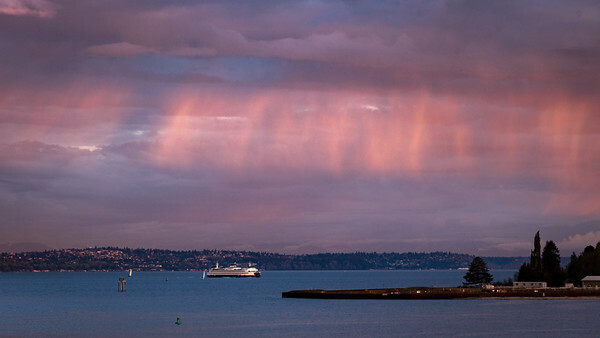 Sunset rainbow over Manzanita Bay on Bainbridge Island. 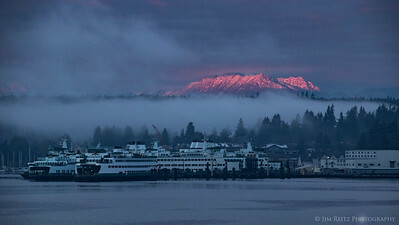 Sunset over the Olympic Mountains, from Dock Street on Bainbridge Island. 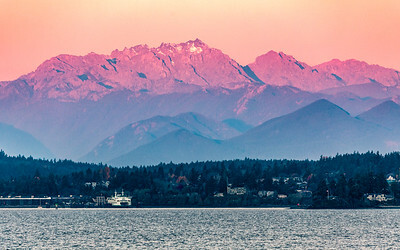 Moon rise over Mt. 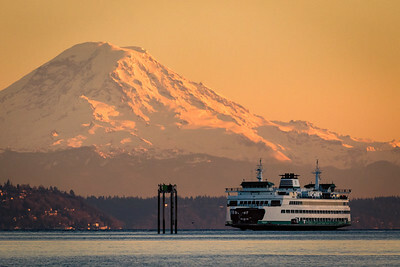 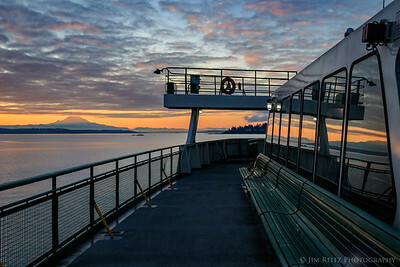 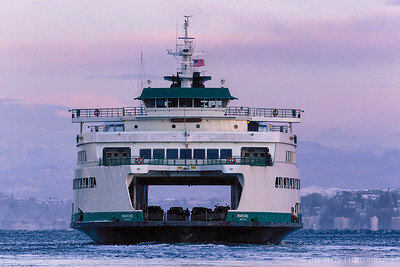 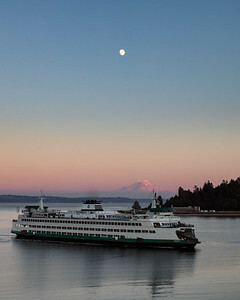 Rainier and WA State ferry. 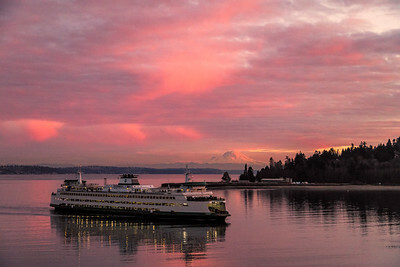 Some nice sunset color just now - on Bainbridge Island, Washington. 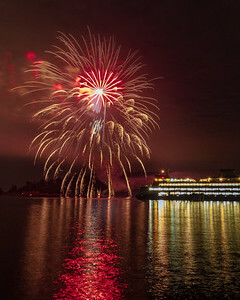 Happy Independence Day from Bainbridge Island! 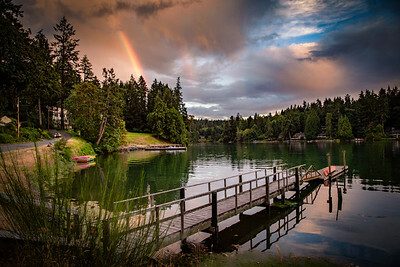 Surprise rainbow this evening over Eagle Harbor on Bainbridge Island. 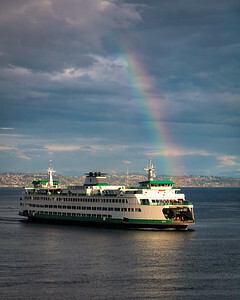 From a couple nights ago, shortly after the rainbow faded out. The setting sun still lit up a narrow band of rainfall over the harbor. 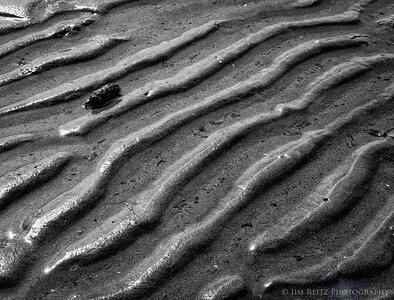 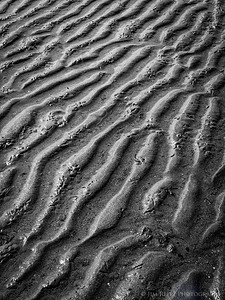 Tide patterns on the beach - Bainbridge Island. 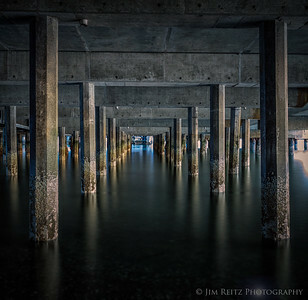 What lurks beneath the ferry dock? 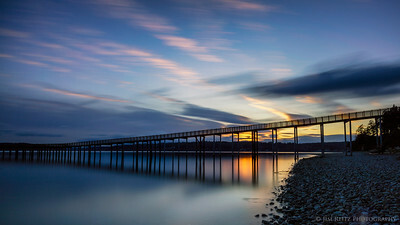 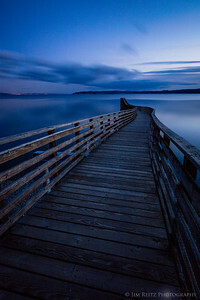 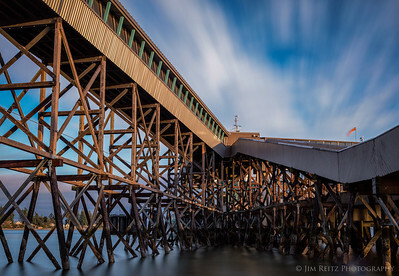 Long-exposure shot beneath the passenger ramps at the Bainbridge Island ferry terminal. 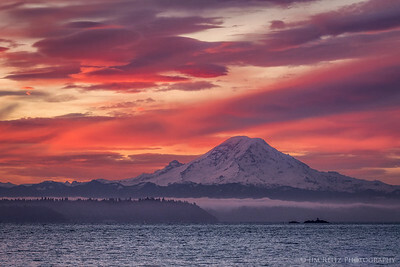 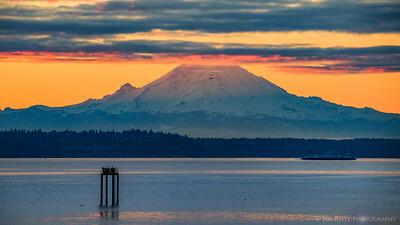 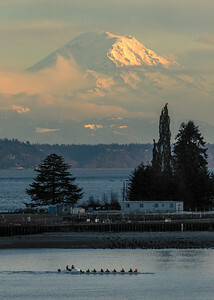 Mount Rainier at sunrise this morning. 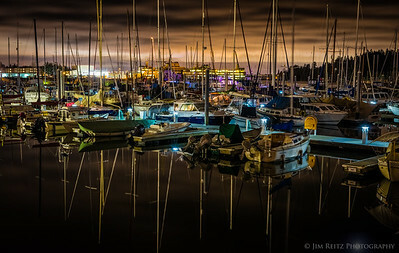 Eagle Harbor marina, Bainbridge Island on a calm winter night. 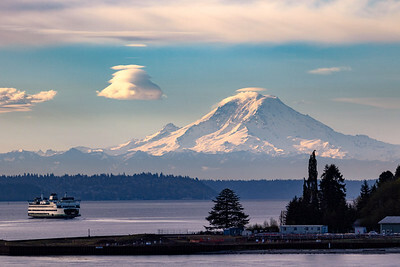 Put a bird on it, Seattle! 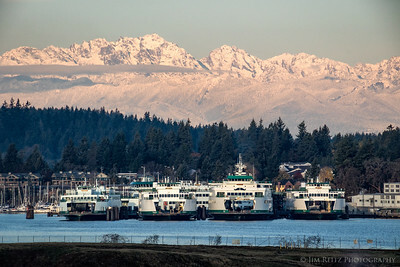 Washington State ferries parked at their maintenance base on Bainbridge Island. 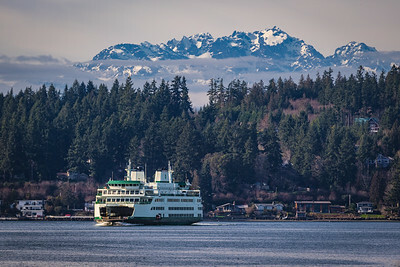 The Olympic Mountains in the background show off a fresh coat of snow. 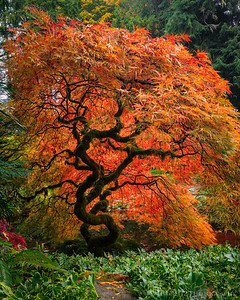 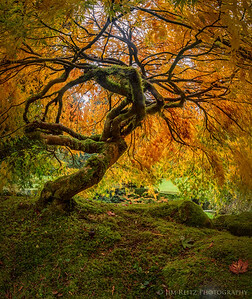 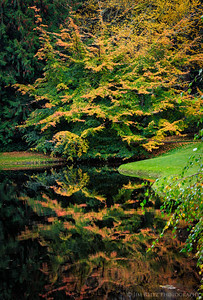 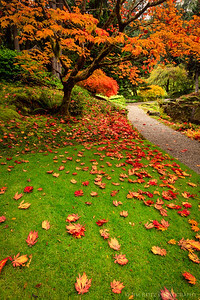 Brilliant autmn color display on Japanese Maple, at Bloedel Reserve on Bainbridge Island, Washington.